“Run for Your Life” Hits Bookstore Shelves! 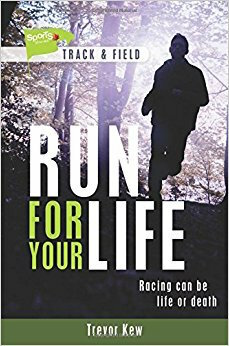 I am thrilled to announce that Run for Your Life, my sixth novel for Canadian publishers Lorimer & Co., was published on August 1, 2017. The book is another entry in Lorimer’s popular Sports Stories Series for young readers, but differs from my previous novels in that it required much more research, along with the need to stretch further outside my own experiences. The idea for the novel came from my experiences living in Japan during the 2011 Tohoku earthquake and tsunami, soon after which I traveled north to one of the affected regions as a volunteer. Since that time, I had known that I wanted to write about what I had seen there, about how it had felt like to be there on the ground as an observer (and, let’s face it, something of an intruder), but I did not want to write about it directly. That just felt like someone else’s story to tell. Instead, I pitched to Lorimer the idea of a tsunami hitting the west coast of Vancouver Island. While this is far from unrealistic, the editor suggested forest fires instead. I was initially resistant, but decided to give it a try. For one thing, forest fires are more resonant to Canadians at this point in history. And also, though I’ve never quite figured out why, sometimes changes like this, seemingly arbitrary, are a good idea when writing fiction. They take you away from the cluttered memory of the real experience you lived and allow you to create a new world, one that lives and breathes on its own without the (visible scaffold) of background knowledge. The sport in this novel is also not one that I have ever had much love for: running (specifically, cross-country running). When I began to write, I thought that this might be an insurmountable hurdle, and considered changing sports. But the further I got into the story, and the more people I interviewed about competitive running (along with the incredible non-fiction book Born to Run, which you should all go read right now! ), the more that I became convinced that sometimes describing someone else’s sport can be just as exciting, or even more exciting, than a sport that has always played a central role in your life. And would ya know it? This book even got me out there researching in the best way possible: with my own pair of shorts and my own pair of shoes. Not a bad way to stay fit while writing a book! Below: photographs from my experiences in Ishinomaki City, Miyagi Prefecture, after the 2011 Tohoku Earthquake and Tsunami (東日本大震災), which led to the main ideas for this novel.